Hope everyone had a happy Thanksgiving and a great holiday weekend! Have you seen any of these films? What did you think of them? I’ve only seen “Safety” and “Magic Mike” but I’d agree with your take on both. Safety definitely IS “fun and quirky”… a cool, smaller film for people to seek out. “Magic Mike” was best when it was being comedic. I thought it was funny as hell. Once it got all “Serious” on us, not so much, but still very enjoyable on the whole! Thanks dude. If you’re looking for new entries for your “Under the Radar” series, I highly recommend checking out Sound of My Voice. Would love to read your take on that one. Quality bunch of films here! None of which I’ve seen but I know I want to see all of them. Your reviews have definitely helped! Eric, I’m right with you on Safety Not Guaranteed, which was a fun little film with a cool premise. I liked all the actors, especially Plaza and Duplass. I’m planning to see all the others and even have Sound of My Voice at home, but I haven’t checked them out yet. None of your reviews have discouraged me, though I’m a bit more hesitant from Seeking a Friend now. Right on, Dan. Seeking a Friend isn’t a bad film or anything, I just didn’t like the direction it went in the final act. Hope you write about Sound of My Voice — would love to hear your thoughts on it. Eric, it may be a little while, but I’m planning to write about it. It sounds like an intriguing movie. Great! Will keep an eye out for your review. Hi Daniel, thanks for stopping by! Yeah, Magic Mike and Sound of My Voice were total surprises for me. I wasn’t sure what to expect with either, but they were both really good. Bummer about Safety Not Guaranteed, though I can definitely see how its “quirk” could rub some people the wrong way. I’m curious about ‘Safety Not Guaranteed,’ will give that a rent at some point. I’m not too fond of Magic Mike though, though it has some funny parts, overall it’s just not as compelling/poignant as it tries to be. I generally don’t like the cast so maybe that takes away from my um, enjoyment. Plus it doesn’t help that I feel like taking a shower afterwards, ahah. Oh well, at least I didn’t pay for me, my colleague lent me her dvd. Haha, yeah Magic Mike was a bit dirty, wasn’t it? I thought it was a pretty good blend of drama/comedy, and Tatum really surprised me in that one. Definitely check out Safety Not Guaranteed when you get a chance. I think you’ll dig it, Ruth. Great quick reviews. “Sound of My Voice” sounds interesting. Thanks, Victor. Sound of My Voice is definitely worth seeing. That “Safety Not Guaranteed” has me interested. Hopefully I will get a chance to see it. It’s a fun little film, especially if you’re a fan of Aubrey Plaza or Mark Duplass. I know nothing about those two. Seen all of these, I agree mostly although I didn’t like Sound of my voice. Thought it was boring and trying to be too clever for its own good. Hmm.. 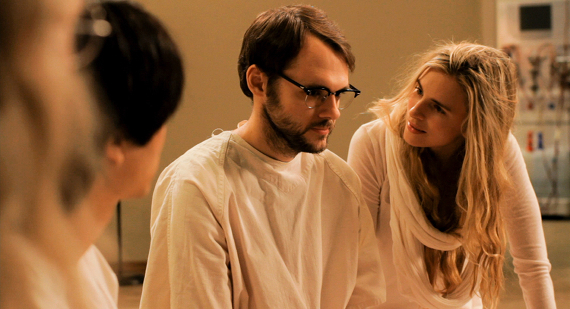 I could see that about the ending of Sound of My Voice, but I thought the film delivered the goods until that point. Brit Marling was captivating every time she was on screen. So glad you posted this! I just put Safety Not Guaranteed on my Netflix queue because I really like Jake Johnson and Mike Duplass. Jake is ridiculously funny in New Girl (I want more of him) and Mark is so witty in The League. It’s disappointing to hear that Aubrey Plaza is playing the same role as usual; I had such high hopes for her in that role. Nice reviews here man. I love mini-reviews. Glad you liked Safety Not Guaranteed and Seeking a Friend. I did too. Safety was a good film that we liked at about the same level. You reviewed a couple here that I had forgotten about like “Sound of my Voice.” Thanks for writing up your thoughts on them. Thanks, T, glad to be of service. 🙂 Hope you get to Sound of My Voice soon. Rewatched Magic Mike last weekend, and was reminded how much I love it. Matthew McConaughey just kills it. Anyway, I agree it’s a shame that most people just write that off as a male stripper movie. So much more there. Oh man, yeah, it’s great to have McConaughey back. He has had a hell of a year. Glad to hear you are a big fan of Magic Mike, too. I had low expectations for Sound of My Voice, not thinking it could equal Martha Marcy May Marlene. Turned out it could, and to me is a pretty effective little indie movie. I wasn’t sure what to expect from Sound of My Voice. I was a little concerned because I heard so little about it beforehand, but it was a nice surprise. I would put it on the same level as Martha Marcy May Marlene as well — both were very good in different ways. 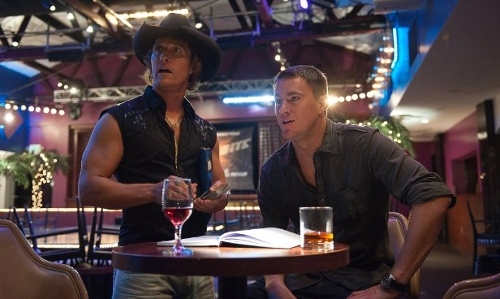 Magic Mike is actually pretty good, man. Was not expecting to like that one as much as I did!